For over three decades livery driver Matt Weber has been one of NYC’s best street photographers, capturing NYC’s essence from its people to its infrastructure. A biographical documentary, More Than The Rainbow, was released in 2012, which not only features interviews from those who praise his work, but surprisingly, from some of his few detractors. I have always been attracted to Matt’s work when he focuses on infrastructure. Over the years he has gotten some decent photos of “Olive” and “Wheelie” stoplights, which once controlled NYC traffic by the thousands, but are now reduced to a handful in Central Park. 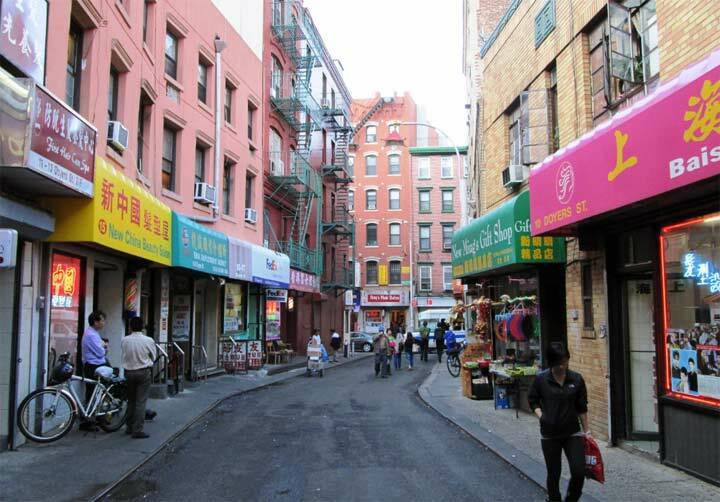 I began Forgotten NY in 1998 when there were still a few “Olives” (named for their dark green paint job) and “Wheelies” (named for the auto wheel that was a part of their decorative scrollwork). Most of the stoplights were two-lighters manufactured by Ruleta; a simultaneous red and green served as the caution light. 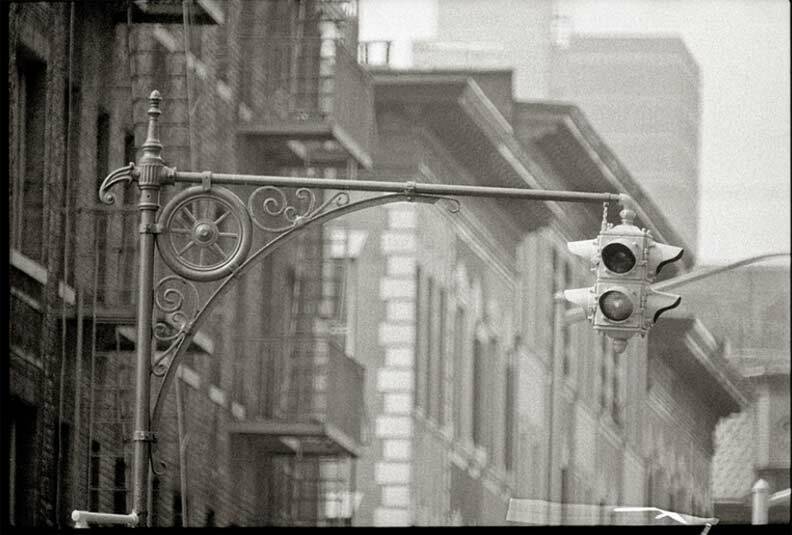 Marbleite is now the majority manufacturer for NYC traffic signals. 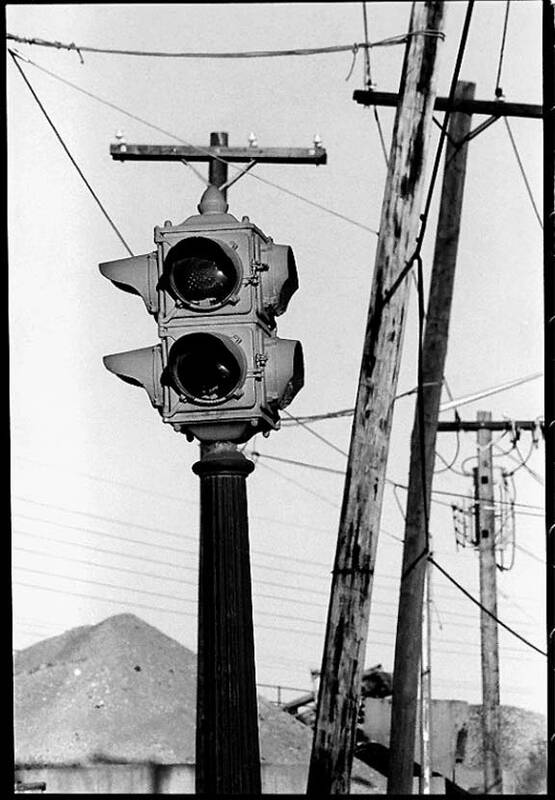 Originally, Ruleta stoplights were painted black, but in the early 1960s, all were painted yellow for better visibility. Both “Olives” and “Wheelies” began a longterm phaseout in the 1950s as are streamlined designs supplanted them. 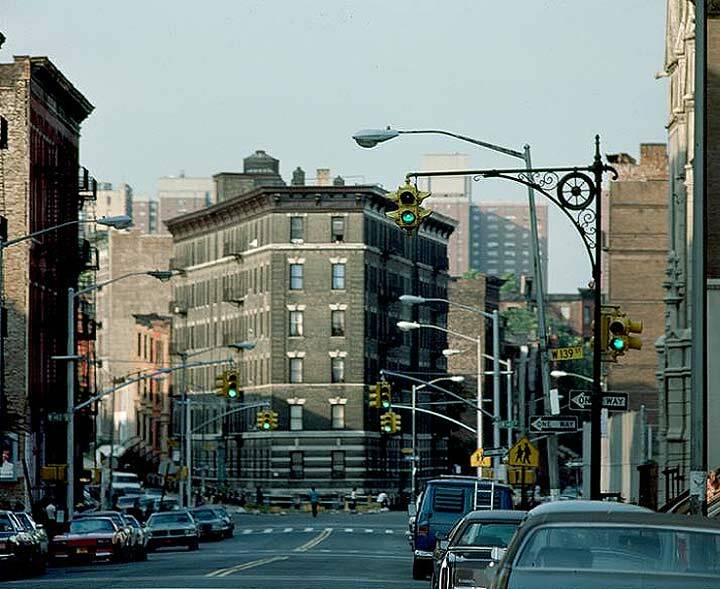 However, some lasted well into the 1980s, including an odd stretch along Liberty Avenue in southern Queens. 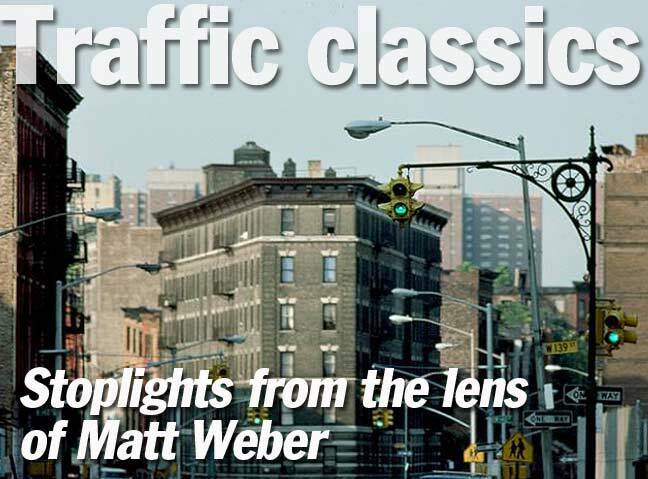 Matt Weber was able to obtain some classic stoplight photos in the mid-1980s. A “Wheelie” at Edgecombe Avenue and East 139th, in the St. Nicholas Park/City College area. 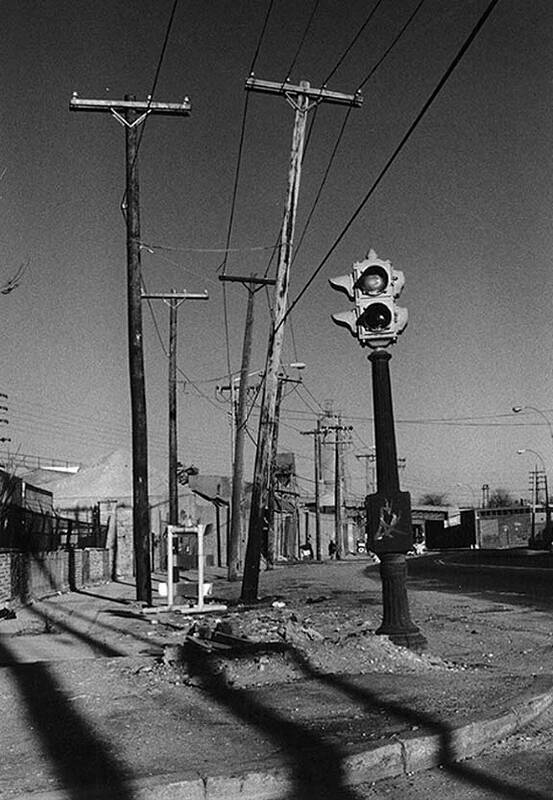 This campaigner had held its ground since the 1920s (the first Wheelie was installed in 1924) but after this photo was taken in the 1980s, the pole began to deteriorate and fell apart gradually. By the time I encountered it in 1998 just part of the base remained and held a pair of DONT WALK signs. Finally the Department of Transportation gave in and installed a pair of guy-wired traffic lights at this corner and new pedestrian control stanchions. By 2017 the same view looked like this. A different esthetic age produced these handsome traffic controllers. Liberty Avenue, east of Lefferts Boulevard. The avenue retained its Olives and Ruletas long after the DOT had replaced them elsewhere. Finally, they were removed east of Lefferts Boulevard, but until 2000 or so, there were still several Olives to be found under the elevated A train west of Lefferts. Those posts, though, had lost their Ruletas and had had Marbleite stoplights installed instead. Finally they were replaced outright after 2000. 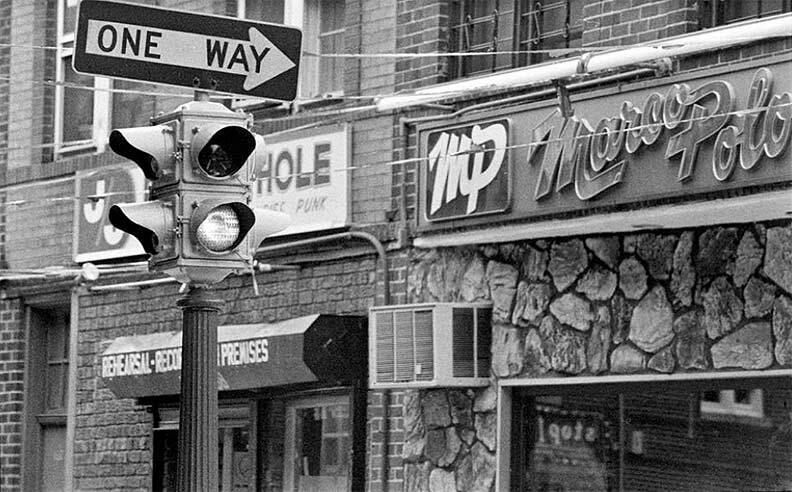 These three photos depict an Olive/Ruleta combination at Liberty Avenue and 177th Street in South Jamaica in the mid-1980s. 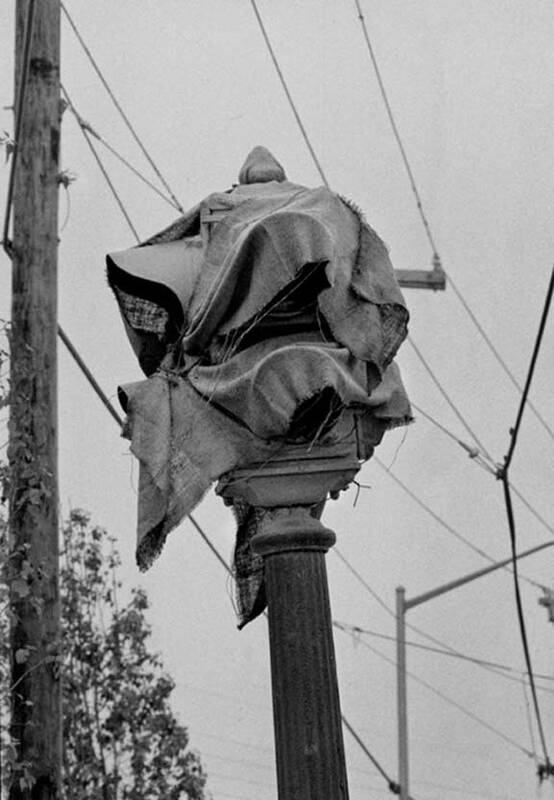 Whom the city wants to destroy it first makes blind! Soon after, the Olives were replaced by large guy-wired traffic controllers. In all honesty, I never saw the reason to place a yellow light on that traffic signals. Why exactly do we need a light telling us it will go from green to red when it can just do that directly? This sort of felt like a waste of money just to add that. Look at those beautiful street lights. and for years we took them for granted because we saw them all the time.